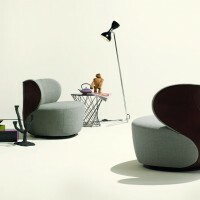 EOOS have designed the BAO chair for german furniture manufacturer Walter Knoll. Spacious and round. It’s the curves that make Bao appealing on first sight. A sumptuous sculpture with an artistic back. 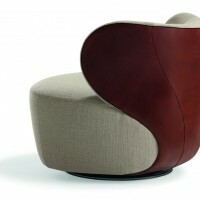 In the style of a leather ball, the leather patchwork forms the rear. Flowing lines – sweeping and elegant. The swivelling armchair combines the materials whilst keeping them distinct: leather on the back, fabric in the seat. Everything has its place. Bao – as familiar as a welcoming embrace. Visit the Walter Knoll website – here.